Let me be among the first to wish each and everyone of you a happy, healthy, safe, productive, and peaceful 2019! The first day of the year is always a great opportunity to reflect upon the past year and look ahead to the future. 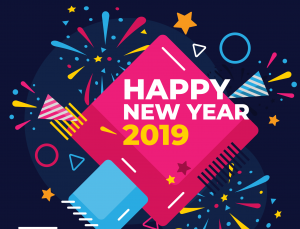 We’ve had an eventful year at ALSC in 2018 and look forward to a new year with stronger involvement from our members as we work to engage communities to build healthy, successful, futures for all children. Collectively, the Association’s work, YOUR work as active member volunteers, strengthens our strategic plan in the areas of learning and development, advocacy, and diversity and inclusion. Looking ahead, 2019 will include a continued focus on our Strategic Plan with numerous committees continuing current projects and/or working on exciting new ideas to engage and support our members. The year will see new awards, learning opportunities, and a continued focus on advocacy, diversity and inclusion, media mentorship, and more! Later this month at Midwinter in Seattle, the ALSC Board of Directors will be meeting to review the progress of our strategic plan; discuss various reports and recommendations from ALSC working groups, task forces and committees; and conduct division business. On Monday of Midwinter, the board will be presented with a preliminary proposed budget for FY20. Board meetings are open and the entire agenda and supporting documents will be posted on the ALSC website prior to Midwinter. Topics will include various recommendations related to our awards; updates on equity, diversity and inclusion (EDI) work; and discussions related to committee charges. I am delighted that several ALA affiliate associations will have their youth awards included in the 2019 Youth Media Awards (YMAs) at Midwinter. These awards will highlight titles selected by the American Indian Library Association (AILA), Asian/Pacific American Librarians Association (APALA), and the Association of Jewish Libraries (AJL). The YMAs are generously sponsored by Baker & Taylor this year as is the Joint Youth Reception that will be held on Monday, January 28, 2019 from 5:00-6:30 p.m. If you are attending Midwinter, I hope you’ll join me in thanking our magnanimous sponsor of these two events! You can stop by their booth in the exhibit hall and thank them in person at the reception. As part of the ALSC’s commitment to EDI work and educational opportunities, the Saturday morning Leadership and ALSC session, which begins at 8:30 a.m., will feature educator and diversity advocate Debbie LeeKeenan as our keynote speaker. Her talk “Anti-bias Education and Children’s Literature: Provoking Courageous Conversations” will explore how librarians can foster anti-bias environments and spark discussions with children about equity, diversity, inclusion, race relations, etc. Any conference attendee can attend this meeting which focuses on important issues and supporting leadership within ALSC. It’s a wonderful opportunity to meet with ALSC priority group consultants, committee chairs, and the board of directors. Related to media mentorship, ALSC will have a News You Can Use session at ALA Midwinter on Sunday January 27th from 8:30-10:00 a.m. Panelists Claudia Haines, Liz Mills, Katie Campana, and Marianne Martens will discuss preliminary results from the 2018 Young Children, New Media, and Libraries survey of technology usage with children in libraries. Our next ALSC Community Forum will continue this conversation on Feb 12th from 12-1 PM Central Time. The topic will be the 2018 Young Children, New Media, and Libraries Survey and our New Digital Media Awards. Stay tuned for more information on how to access the community forum which will be held via the Zoom platform. While these are just a few of the upcoming events for ALSC in January and February, our committees work year round to keep us moving forward. I have completed the majority of my appointments but Vice President Cecilia McGowan will soon be making the next round of committee appointments, beginning with process committees this spring. If you haven’t already, I encourage you to complete a volunteer form and look forward to working alongside you in this exciting year of change.